(MoneyWatch) If you're a startup, on the hunt for new capital, chances are you'll cross paths with the likes of Shervin Pishevar. Shervin is Co-CEO of Sherpa and a venture advisor at Menlo Ventures, meaning he's one of the people who decides whether to put VC dollars to work in consumer Internet, social web, mobile and collaborative consumption companies. Since joining Menlo in 2011, Shervin's sourced and advised investments including Uber, WarbyParker and BlackJet. He tells The Startup exactly what he's looking for in a new investment and how entrepreneurs can attract venture capital. Startup Menlo Ventures manages $4 bil in assets; overseen 80+ IPOs. Headquarters are located in Menlo Park, CA and founded in 1976. 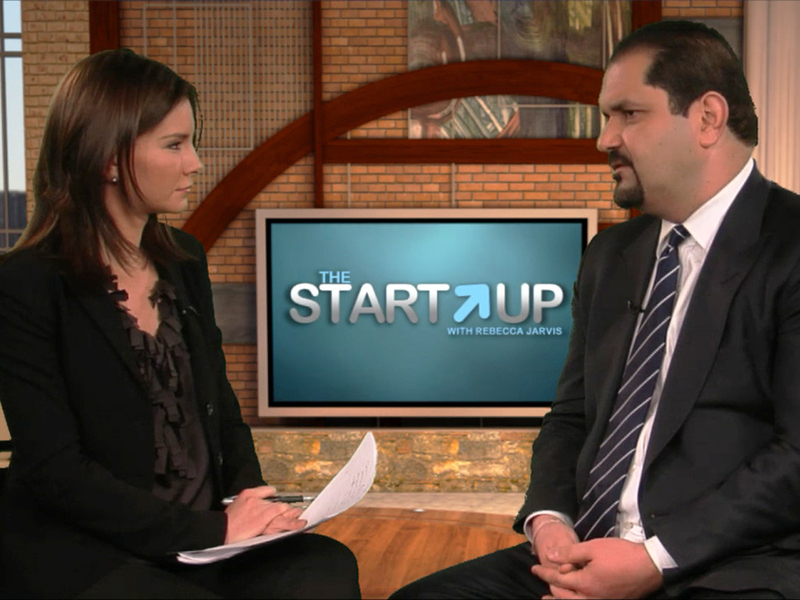 Shervin Pishevar: I am an entrepreneur and venture capitalist. I started a few companies and angel invested in some great companies and founders. I became a VC almost 2 years ago. My biggest investment so far is $26.5 million in the Series B of Uber. I am also involved in companies like Fab, WarbyParker, Getaround, Blackjet, Poshmark and more. As an undergrad at Berkeley I did malaria research and Berkeley filed a patent on my research and I published in JAMA and Neuroscience Letters. My life is dedicated to helping world changing founders in any way that I can. I believe in entrepreneurship as movement that is spreading around the world and reshaping the very fabric of our world. RJ: What's the number one thing you look for in an investment? SP: Great founders. Great founding teams. The first 10-20 people in a start up help set the culture and DNA of the company. Great founders and teams married to world changing ideas that can scale are a magic mix. RJ: What's the most over-done trend in startups? SP: What I have found is that the number one company solving a particular problem will usually dominate the value creation opportunity. Second best and third best can be painful and is usually tied not to timing but to teams and their executional fortitude. No amount of sizzle and association by proximity to a leading company can make up for the lack of momentum and scale. RJ: What's the next big thing/trend for startups? SP: I am excited about consumer healthcare solutions via mobile. We're talking trillions, not billions, in opportunity there. RJ: What were you doing before you got into venture capital? SP: I was building Social Gaming Network, Webs.com and angel investing. Oh, and raising my 2 awesome kids. RJ: How long do you hold on to a typical investment? SP: I hate to sell. I preach patience to my founders. I learned that the hard way as a founder. If you are scaling, give your company the room to breathe and grow. I would rather hold on and give the founder room to go all the way. We need more companies in Silicon Valley become long standing companies. I am interested in helping founders build the next Google, Facebook, eBay, Intuit, HP or Intel -- default companies that are around for a long time. There are not enough of those. RJ: How does a startup attract a big money backer? SP: Be authentic. Be bold. Dream big. Focus on your team. Don't ever give up and execute well. You do that and people will be knocking at your door. For more on Menlo Ventures visit their website.